A Mountain Home man charged with taking two vehicles, including one left running outside a convenience store with a handicapped person inside, entered a guilty plea to reduced charges during a session of Baxter County Circuit Court Thursday. 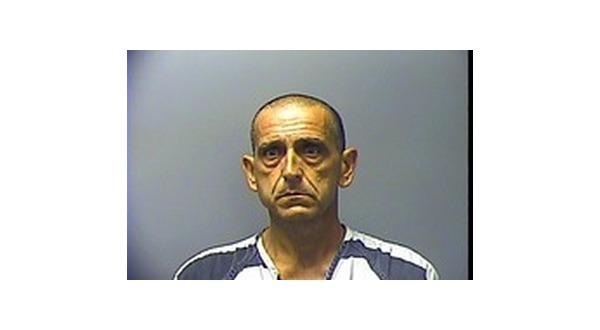 Fifty-six-year-old Tony Farnam was originally charged with felony kidnapping and theft of property. The state reduced the kidnapping charge to false imprisonment. Kerry Chism, 14th Judicial District deputy prosecutor, told the court he had spoken with the victims in the incident at the convenience store, and they approved of the negotiated plea. Chism said the victims were more interested in Farnam getting help with his drug addiction problem than in punishment. Farnam was put on probation for five years and ordered to spend a year at Care Center Ministries to address his addiction to methamphetamine. A somewhat reluctant Circuit Judge John Putman agreed to accept the plea. The judge told Farnam, "What you did doesn't sound good at all. You need to get control of your life." On July 13th, Mountain Home Police received a report from a man who said he stopped at a local convenience store and left his vehicle running while he went inside. The man's handicapped brother remained in the vehicle. When the man came out of the store, he found his car, along with his brother, gone. Police issued a be-on-the-lookout for the vehicle. About 15 minutes after the initial call, police located the vehicle in the parking lot at Baxter Regional Medical Center with the handicapped individual still buckled into the passenger seat. Farnam was found in the hospital's emergency room and identified as the person taking the vehicle from the convenience store. He is alleged to have told police he took the vehicle and was aware there was someone siting next to him. At the time of the incident, Farnam said he was high on methamphetamine. Charges related to the theft of a second vehicle were dismissed by the state.